French tech media company Next INpact just launched an interesting project today. 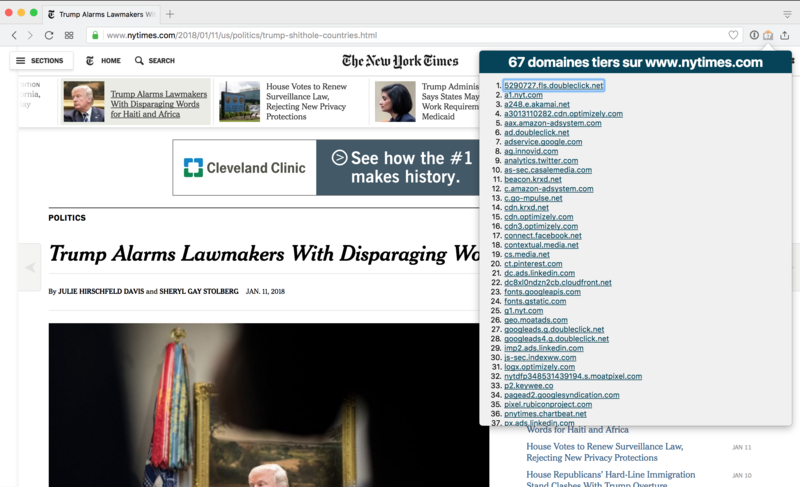 Kimetrak is a simple browser extension that lets you see how your favorite website is tracking you and selling your privacy. Ad servers as well as big tech companies, such as Facebook and Google, can track your browsing habits and serve code that hasn’t been reviewed in any way. Those companies can then build comprehensive profiles about you and leverage cookies to read and store personal data. But Kimetrak isn’t an ad blocker. The extension wants to educate people about trackers on the web. If you use an ad blocker, you’re obviously not going to see much information. But if you disable your ad blocker and browse some of your favorite websites, you’re going to be astonished with Kimetrak’s information. For now, Kimetrak’s data stays on your computer and isn’t shared in any way with Next INpact. It’s an open-source project so you can check for yourself. Eventually, Next INpact wants to build a general-purpose database of trackers and popular websites. Kimetrak is available on the Chrome Web Store.